The Louvre was designed to house a great art collection for the people of France. Was there a plan from the outset to build a canon of work where the relationships between artists, their origins, their schools and faiths could be traced across centuries? And how did architect I.M.Pei persuade President Mitterrand to allow a pyramid to be built at the Louvre? The album goes on to explore how architecture can reflect relationships between different traditions. Two great buildings, Palladio’s church of the Redentore in Venice and Sinan’s Sokullu Mehmet Pasha mosque in Istanbul illustrate shared approaches to the purpose for which the spaces were designed. This material is taken from The Open University course A216 Art and its histories. This module presents a new history of art, starting with the Renaissance, when Europeans encountered a new range of desirable objects from across the globe. You'll explore the role of art and architecture in colonial expansion up to 1800, before looking in depth at art and culture in British India. The vital role that art played in the stories that Europeans have told about the wider world are highlighted, with suggestions as to the ways in which these stories might be challenged or revised. The module concludes by analysing the globalisation of artistic practice from the twentieth century to the present day. This module aims to broaden understandings of 'Art History' in terms of methods, materials, spaces and sites of practice. It explores relationships between visual arts and the public realm by examining contexts within which art, architecture and design are situated and mediated, ranging from consideration of the professional practice of art historians, within and outside academia, to exploring public realms of print media and the built environment. Central to the module is the development of subject specific research skills and practices which build throughout the module towards the dissertation. The MA in Art History draws upon the exciting research and outstanding teaching expertise of the department. 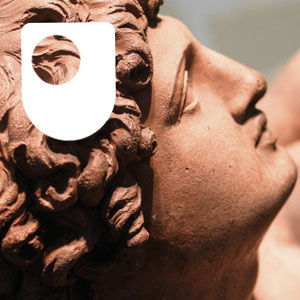 Studying art history at postgraduate level will deepen your understanding of art, architecture and visual culture, build your analytical and critical skills, and develop the skills needed for independent study and research. You'll start by exploring the core concepts and recent developments that have shaped art history from Renaissance Italy to the contemporary Caribbean, before building on these foundations to expand your understanding of visual and material objects ? incorporating architecture, art and design. You'll complete this degree by researching and writing a dissertation on an agreed topic of your own devising. The Muse du Louvre houses 35,000 works of art, including the Mona Lisa and the Venus de Milo, but how were they brought together as a collection? This free course examines the importance of art through history and the impact of personality and conflict. Join Dr Leah Clark between 12pm - 2pm on Tuesday 3rd April for a post-viewing discussion of episode five of Civilisations. Join Dr Renate Dohmen between 12pm - 1pm on Friday 6th April for a post-viewing discussion of episode six of Civilisations. Henri Cartier-Bresson raised photography to an art form. So you've ordered your 'Civilisations' poster - now what?